Since there is no topic dedicated to suggestions, I'm creating a page to keep C9 community on track to continue sharing their thoughts. Anyone who creates or created a topic related to suggestions for C9 is welcome to add his/her link below. The list will be updated with every new suggestion added. Last edited by Seraphiel; 02-11-17, 07:43 AM. i'm sorry man.. but.. what a way to waste time!!! do you really think that Webzen are going to see this? do you think that they read suggestions or they care about it? sorry my friend but no.. they don't. again.. sorry .. but this game are not anymore a game to play and have fun.. is just a game to waste money.. is p2w.. everybody know that. i'm telling you this as a friend.. dont waste time on this and you will prevent to get desapointed.. trust me. I appreciate your concern, Siriusdm. But let me tell you something; if we are to stay silent, it means that we accept the current state of C9 and that it doesn't need to improved. I know the chances of adopting our suggestions are slim but we need to be persistent in asking Webzen to make changes/improvement when it is required. The game does contain some elements of Pay to Win but you are not required to get them. You can still enjoy C9 without paying a penny; just focus on the brighter side of this game. I think you are doing a really nice work. It's really cool to see all the suggestions ordered in a sticky thread. Keep it up! Thank you, Frank22. I really hope that GMs go through these suggestions and communicate them to the devs. Thank you, Gloomy Shadow. Let's continue sharing our thoughts on improving C9, and hope that our suggestions are taken seriously. Whether or not such suggestions will thrive will be up to Webzen. My hopes for them aren't too high, but I've seen some bright spots here and there. At any rate, points for the effort with these topics, even if most of them ultimately turn out to be wasted effort. Yeah, I know that Webzen is so stubborn when it comes to adopting changes suggested by the community, but that's all we can do. This is really a great topic and thank you for your effords but unfortunatelly what serius says is mostly true they dont care about players or anyone they are doing what they want and they are not aware of their own game. For example I havent seen any gm login to game for 2-3 months they dont even know the hardships of this game because they dont play their own game. You are right that we should do something about them to recognize the problem but they didnt even listen to wilky who was working so much to improve this game and now even he quit the game. Other then wilky sir rick was also trying so hard to improve this game and what happened they banned him. My only hope is webzen to bankrupt and some other company take over c9 but it also doesnt seem to be possible as there are some players like alxia who pays thousends of dolers. Lately the game is mostly deserted I cant find any pt or any item because everyone quit and the players were waiting for a good event but what we got still nothing. There are so many things need to be changed and I dont know how we can make them recognize this. I know that GMs are at fault for not being in touch with the community. They also don't seem to even know the mechanics of how this game actually work from players perspective. 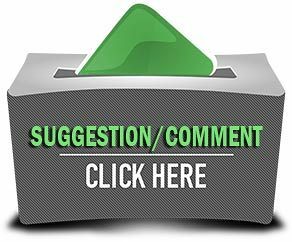 We have been making suggestions because we know that many issues need to be solved, and I agree that a great portion of our suggestions is being somehow ignored. But we have to be persistent in order to show that we do really need a positive change to the current issues. With all due respect to people like Sir Rick, he wanted to ruin the game which we like and enjoy, even though he was in one way or another correct. What he did was just not the right thing to really ask for a positive change. He knew that he would be banned but he wanted to make some kind of throwing-a-bomb action just before he left/got banned. People who don't seem to be happy with the game, they can simply look for a different one, and I'm sure there are many cool games out there. Although C9 is considered a unique game for its fans, it is because they defined what's unique to them. C9 in not the only game that can make people feel passionate about. We will always get a chance to try out newer games in the future, and one day C9 will normally be replaced by another game for many C9 gamers. People who support the game for being 'heavy cash shoppers' are not to be blamed. Wishing for a company to be bankrupted doesn't seem to be a solution either as it might also mean the game will no longer be available. So, people should at least take this period they spend on C9 as a transition to move to another game that they are waiting for its release. Well I have tried to do that so many times I quit c9 for a while and tried almost all other mmorpg's but none of them has the basic combat and skill system of c9 thats why I am still here. I also want this game to go in a better way but it is really hard even if I had the authority I don't think I could fix everything but what I want most is a really huge class rebalance instead of new classes and what I mean by class rebalance is changing almost every class to make them all equal for both pve and pvp. As everyone can see there are only 2 or 3 classes (guardian-illu-scout) being played for pve in whole server and some classes doesnt have any chance to clear some dungeons. To improve this topic I guess we can contract with all vl-vlt and they can show the gm's. This won't do unless so many vlt joins us. Looking at the recent maiden rebalance, why don't we have a new survey every 4-5 weeks with class fixes in between? I couldn't agree more. There should be survey for every class in the game even after they get rebalanced. I know it's not possible to reach 100% community satisfaction but we can get close to that. Even if it takes time to actually work on rebalancing classes, it should be done periodically. Feedback and announcement on their progress should be there so that the community know that Webzen is really working on solving balancing issues and they do care about improving the game from all different aspects. Regarding Pet, being bound concern, maybe we can push with the idea on making Account bound and not character bound.. or at least make a Cash Item to unbind them so DUPLICATE PET can be unbind and be used by other characters.. FISHING AUSPICE - UNBIND THEM PLS !!! I hope C9 consider the idea/concept of making Fish Auspice to be unbind or get shared into account.. just like my idea with pet. Those two issues need to be communicated to the right department through ticketing system. The first is unlikely to be changed as they clearly said that pets would be bound to character once they hatch. As for the second one, we'll need to contact them because it's clearly a mistake that needs to be corrected by either making baits or fishing rewards unbound. And also they didn't mention that baits or rewards would be bound. So, there’s some hope they'll change it. I think detail information about DMG done on dungeons could be fun. Some statistics about our dmg dealt, and dmg our friends at dungeons, maybe dmg taken also. You can compete with your friends and better compare classes. Hi friends, I dont know where to ask, so sorry for offtopic. I have not played in the c9 4 long time, on account there elem,deathdealer , ranger & ilphina rose 50-51 lvl. nightstalker, gunslinger blademaster 48-49. Whos better in pve now? In gameplay id better prefer deathdeler, but gunslinger or blademaster are also ok.